A harrowing odyssey of cybercrime and punishment in the United States. In 2012, 21-year-old Dutch hacker David Schrooten was living at his parents’ house in the Netherlands and spending most of his time online. When he wasn’t squabbling with fellow hackers, he was making plans to visit his Romanian girlfriend. His life turned upside-down when Interpol agents arrested him at an airport in Romania on international hacking charges involving $63 million in damages. Soon Schrooten found himself extradited to the United States, a country where he had never been before. He was imprisoned in Seattle, WA, where he awaited trial, some 5,000 miles from home. While his future hung in the air, Schrooten kept a journal chronicling his every experience - from the inept public defenders on whom his life depended, to the unimaginable horrors of solitary confinement. And it was during this time that Schrooten struck up a correspondence with a Dutch-American journalist who vowed to help him tell his story. 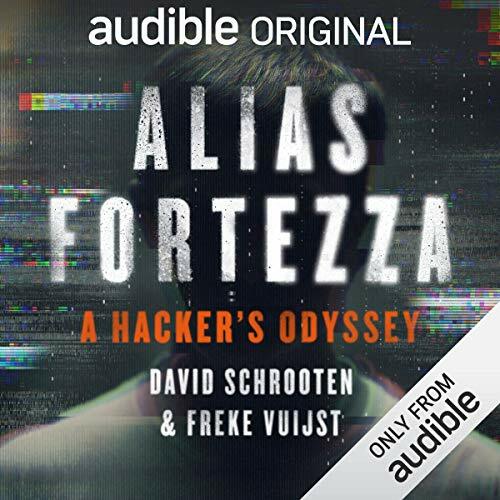 Alias Fortezza: A Hacker’s Odyssey is the astounding journey, told in Schrooten’s own words, of a young foreigner’s incarceration, as well as a stunning examination of the US justice system at work. ©2019 David Schrooten and Freke Vuijst (P)2019 Audible Originals, LLC. This was a good story but the narrators accent grated on my nerves. I finished it because as an IT professional it interested me although the choice of narrator was unfortunate. Freke Vuijst does a remarkably thorough and fascinating job uncovering the inequities and unconscionable practices in the US penal system - from overuse of inhuman isolation to privatization of penitentiaries and so much more. This is countered by the human interest story of David, a young Dutch man incarcerated for cyber crimes in a country he had never visited for longer than others who had done far worse than he. A compelling read for anyone who cares about how we treat those we say we want to rehabilitate and return to society. It was hard to listen to all the anti-American content. This guy basically feels he was not in the wrong because what he did is not a crime in his own country. To add to this, the chapters are alternated with the co-author who reads in her own very grating voice, more anti-American stuff. I stuck with the story to the end because if you concentrated on 'what' happed it is fascinating. This book completely captivated me from the 1st page to the last. A brutal and penetrating look at the corruption and inhumane way inmates are treated in the US penal system. An eye opening account of what can happen to a naive and reckless Teenager caught in the pride of winning hacking contests for thrills. meh, it would have been better if it was all narrated by just one person. I found it irritating when the narrator switched.